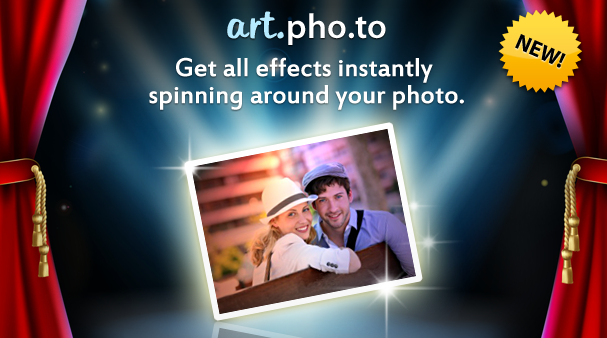 Art.Pho.to – put an artistic touch to your photos! Welcome to our new service Art.Pho.to! 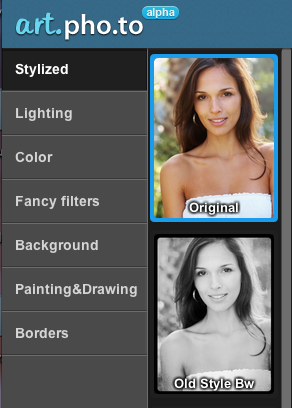 Add new backgrounds, fancy filters, colors and borders to your photo — quickly, easily and without registration. Creating a Pho.to-masterpice has never been this simple! swati, art.pho.to is a free online service, please use it if you like it! How do I download after creating the different images? I only have a link for sharing to Facebook. thank’s a lot for your comment we’ll fix the problem asap. Currently you can share a photo on Share.Pho.to and then download it. Previous Previous post: See you in 2013! Next Next post: Share your iPhone/iPad photos even faster!